LPS’s Harry Doran went to the British Universities Indoor Championships at Sheffield as a highly respected 400 runner with a time of 47.5 to his credit. Competing for Edge Hill University he tackled 800m for the first time. Something special was anticipated as he had recently run 600m in 1.19.40 which had carried him to the top of the current UK rankings. He did not disappoint. Running a controlled heat time of 1.58.08 and a swift semi-final in 1.53.06 he was poised for a medal opportunity in the final. Against experienced opponents he kept his cool and was rewarded with a staggering time of 1.51.50 and a bronze medal to boot. What a debut! Also at Sheffield Nathan Hilton semi-finalled in the 400m with 49.79 after a heat of 49.64. Danny Higham ran a 23.41 200m and Emma Givens 9.41 for the Women`s 60m Hurdles. Again indoors but this time at Birmingham for the Under 17 National Championships the club`s high jump specialist Amelia McLaughlin sailed over her opening height of 1.60m but stumbled thereafter finishing sixth. Clearly an off day for this glittering prospect as she was well capable of taking the title in normal circumstances. 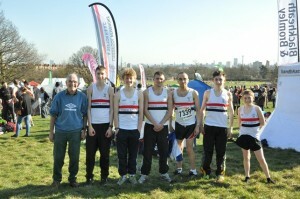 Parliament Hill Fields was hosting once again the National Cross Country Championships. Frequently described as the iconic home of the sport it enjoyed the most beautiful of spring-like weather set against the magnificent backdrop of London`s skyline. The most unexpected result was that of Courtney Bishop, formerly Birch, who was an excellent 41st in the Senior Women`s race and reminded everyone of her talented past when she took three consecutive national titles at under 15. There is obviously still plenty more to come from her now that she is 27. A slightly off-form Jai Vernon-McGuigan was also 41st in the Men`s Junior Race but was chased hard by Ben Costello who was a delighted 53rd. With Sean Kirkbride(105) having a storming run over the second lap and Mike Bride on 136 the club was rewarded with 7th team place, the first Northern club home. The U17 men`s race was won by the hugely talented Mathew Stirling of Liverpool Harriers. 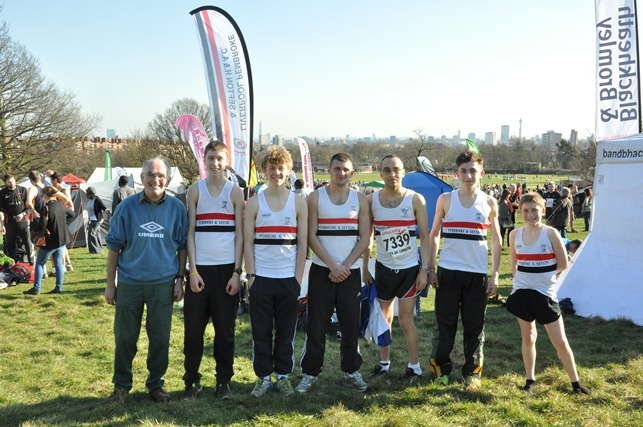 The first LPS athlete home predictably was Warren Turner(54) and with the usual solid backing of Ryan Blackwell(81), James Grundy(125) and Kyle Nicholls(137) took the club to 9th spot out of 28 teams and second Northern club home. David Reece was 295th. Elsewhere the club only had Jack Crook in the U13 race where he finished 145th. Overall a good weekend for the club.